We will walk you through every step of the resume writing process from beginning to end, while making sure that you get the attention you want from prospective employers. We understand that it's not easy. Some people are overwhelmed and frustrated because they’ve been working on their resume for weeks or even months-and still feel it lacks impact. Others know that resume writing isn’t their forte; but they also know that what they have just is not working! That's where we come in! We offer complete cover letter and resume writing services that make you more attractive to companies and drive interviews! All resumes are designed in Microsoft Word (Word Doc. ), PDF, and Plain Text (ASCII) files to ensure full compatibility for all distribution and printing methods. Your resume will be designed using the latest styles and formats that are proven most effective by top HR professionals and industry leaders. There are many types of resumes. Which one is right for you? Are you looking to make a move up the career ladder or facing a pending lay-off? Does your resume lack originality and look like the hundreds of other resumes being submitted? Is your resume extremely wordy or does it not say enough about you or your skills? Are you a new graduate looking to get your foot in the door and start a career? Are you interested in pursuing a new career field or changing career paths? 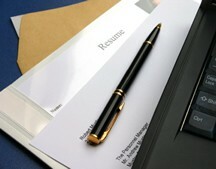 Is your resume outdated and in need of a major overhaul? No matter the circumstance, WE CAN HELP! Our goal in creating professional resumes is to strategize, prioritize, position and brand each client’s background to match the jobs and salaries clients want. To begin, we will ask you to email us all the information regarding your former employers, dates of employment, and a detailed description of what your job entailed at each company. If you have a current or outdated resume that has not been working for you, you can send that to us via e-mail and include any additional or updated information that you would like on your new professional resume. Don't have a current resume, no problem! We will send you our formal questionnaire via e-mail that will provide us all the information we will need to begin. Once you have completed and submitted it back to us, we will contact you via e-mail or telephone and begin by determining what information should be emphasized, as well as what should be included or eliminated based upon your unique circumstances, background, and goals. We will then identify keywords (buzz words) and phrasing strategies critical to your resume being selected by both hiring professionals and computer screening systems, while eliminating grammatical and punctuation errors, and minimizing repetitive information that results in a resume being screened out. Your professional quality, highly detailed resume in the 3 major formats (MS Word, Text, and PDF) designed to be posted on major job board websites while retaining form and design. They are also friendly to electronic scanning systems. Free updates to your resume for one full year! A professional quality, highly detailed resume that highlights your strengths, qualifications and accomplishments. A customizable cover letter that will highlight your skills and experiences. This cover letter is designed in such a way that you'll be able to use it over and over again. A customizable post-interview follow up letter to send following the interview. Your new resume in all 3 formats (Word, Text, and PDF) designed to be posted on any major job board or website, while retaining form and design. They are also friendly to ATS and electronic scanning systems. A professional quality, highly detailed resume that highlights your strengths, qualifications and accomplishments, and composed in a manner geared toward executive reviewers. A completely customizable cover letter that will highlight your skills and experiences. Your new resume in all 3 formats (Word, Text, and PDF) designed to be posted on any major job board or website, while retaining form and design. Two years of free resume updates to your LinkedIn profile AND resume! Your new federal resume will include all necessary key skills and abilities needed to assist you in landing a government job! We use only the most modern and up-to-date format for federal resumes. *Please note that Federal Resumes are limited to a maximum of 4 pages in length. Your new CV in the latest and most accepted format for international or overseas jobs, and a customizable cover letter. *Please note that CV's (or resumes) that are 3 or more pages in length will require 5-7 working days to complete! *CV's at the sale pricing are limited to a maximum of 3 pages in length. A professional LinkedIn profile is a must in order to network and get your name and skills out there! Social networking has become an integral part of all of our lives. Whether or not you are active on social media sites or not, you've certainly heard about these networks and are aware of how large their influence has become. LinkedIn has revolutionized the way people search for jobs. Today, many professionals understand that their chances for securing interviews depends on a strong resume AND a strong, keyword-rich LinkedIn profile. With hundreds of millions of registered users, LinkedIn has become an undeniably powerful tool for networking. And, if you're not actively looking for a new job, but are open to opportunities at other companies, a current LinkedIn profile helps headhunters and potential employers find and contact you discretely! A well-crafted cover letter that effectively highlights your unique skills and accomplishments while clearly illustrating your potential value to an employer gives you a huge competitive edge over other candidates. This cover letter can be tailored directly to your job search goals and will be designed in such a way that you'll be able to use it over and over again. Cover letters are required by many companies these days during the resume submittal process and they do increase your chances for interviews.